Student loans should be the last alternative for any college-planning strategy. Unfortunately, it’s where many families start. According to the Institute for College Access and Success, about 70% of graduating seniors in 2014 had student loan debt, with an average of $28,950 per student. The good news is that a bit of planning can help reduce the need to rely on student loans. With online resources or by working with someone who specializes in college planning, you can develop a comprehensive planning strategy that will help your child obtain a degree without breaking the bank. Your strategy should start with choosing the right college based on the school’s cultural and financial fit for your child. Where your child will fit in best and be most successful could be the most important part of your college plan. Will your child thrive in a competitive environment? Does your child want to be close to home? Does the school offer a major conducive to your child’s strengths? After all, what good is it if your child gets accepted and drops out after two years or takes six years to graduate? Your child’s goal should not simply be to gain admission, but to thrive, grow and graduate ready to succeed in the next chapter of life. As part of my family’s college-planning process, we will consider working with admission experts when necessary. Their experience with the admissions process and insights into campus life at hundreds of colleges can prove invaluable for some families. For the do-it-yourselfers, the Fiske Guide offers self-examination quizzes to help guide you in the right direction. Whatever you choose to do, incorporate the culture of the school and the personality of your child in the decision-making process. College selection and affordability go hand in hand. Every school will view your student — and your family’s finances — differently, so it’s important to do your research and try to gauge how those factors will impact financial aid eligibility. Each school has a choice of what aid methodology they use when determining your child’s expected family contribution (EFC), the minimum amount a school will expect you to contribute toward your child’s education each year. The cost of attendance less your EFC will produce your child’s eligibility for need-based aid. But the same reported assets and income can produce dramatically different EFCs depending on what school your child applies to. You need to know beforehand what application each school uses, how they will view your assets and income for financial aid purposes, and how desirable a candidate your child is from an admissions perspective. 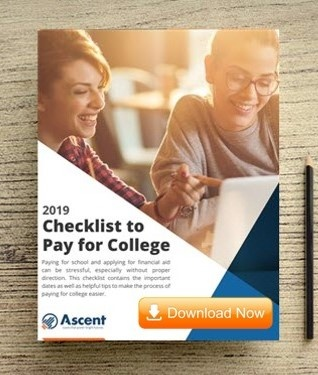 Websites such as College Data will help you determine your expected out-of-pocket costs at most schools and how your child’s academic profile compares with the student body. If your child is a good candidate for admission, the school will be more likely to meet a higher percentage of his or her need-based aid eligibility with grants and scholarships. So much focus is placed on getting into college and very little on life after college. But college selection should help position your child for success after graduation, not burden your student with unmanageable debt. College is an investment, and the cost you pay for admission should result in a future income stream that far outweighs the expense of any student loan debt. The break-even point can vary greatly depending on what your child wants to study or what career he or she may want to pursue and, of course, which school your student decides to attend. Eliminating or reducing the amount of debt your student needs to take on can help tip the balance in his or her favor for years to come. In fact, a recent study showed that student loan debt of $30,000 could reduce a person’s 401(k) balance by over $325,000 by retirement. If your child is uncertain of his or her career goals, which is completely reasonable at age 18, then it may be smart to consider taking a gap year to figure things out. Ultimately your child might even decide to take the entrepreneur route and start a business. And at the very least, a little research and self-examination should prove helpful. My oldest son, Reece, is already talking about attending Notre Dame and Duke. I’d love to help him make that a reality. However, the last thing I want to do is saddle him with enormous student loan debt or spend down my retirement assets to make it happen. I plan on exploring a broad range of colleges to determine which ones offer him the best fit from a cultural, financial aid and future employment perspective. Doing the same with your children could be the best investment you ever make. Brett Tushingham is a financial advisor and the founder of Tushingham Wealth Strategies in Wilmington, North Carolina. The article Pick the Right College to Avoid Student Debt originally appeared on NerdWallet.